Visually very pleasing, this is without doubt our most popular arrangement for inclusion over a living space. The rectangular roof lantern lends itself to being placed centrally within the ceiling over a rectangular space or to define a specific domestic function within a larger open plan area. Provided that the difference between its X and Y plan dimensions is no less than 500mm (ideally greater), then it can accommodate ridge mounted ventilators. 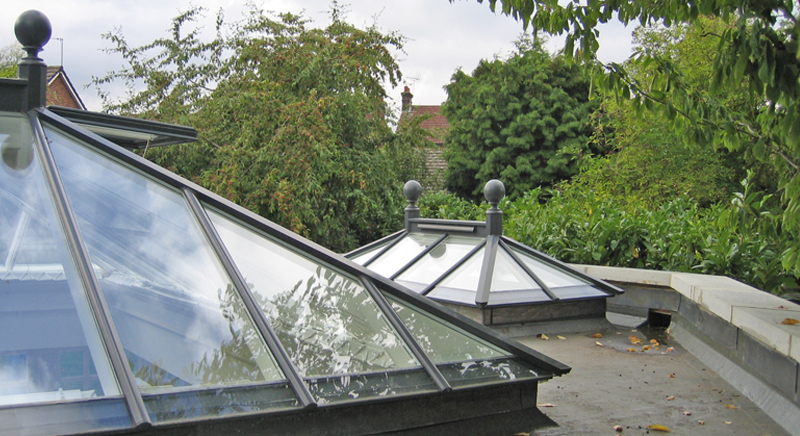 Two 'classically' detailed roof lanterns add light and volume to create an exciting living space. 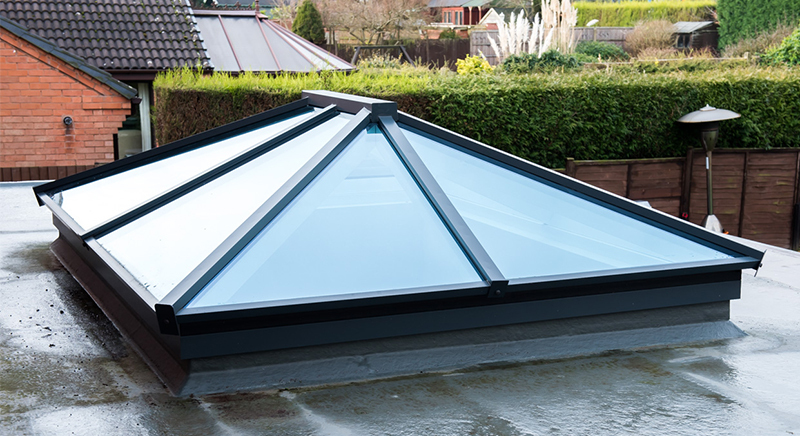 This bespoke 'Hybrid' roof lantern sits centerally within an orangery extension. 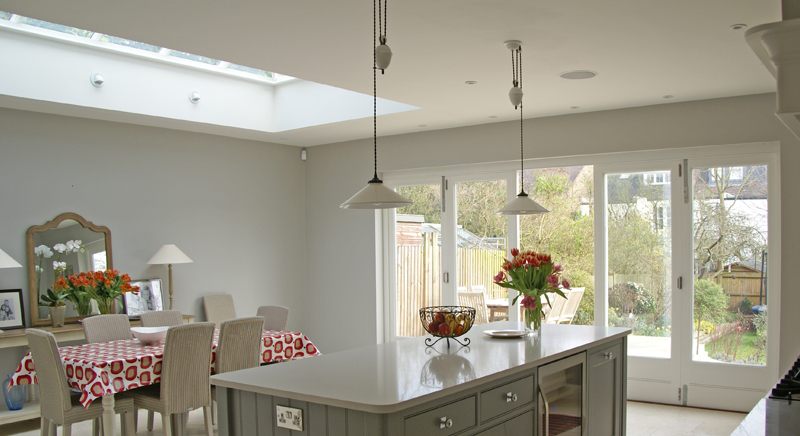 A rectangular roof lantern perfectly defines a dining area in a pretty kitchen extension.